Pressure Cooker Applesauce Guide - Make Your Own Version! Pressure Cooker Applesauce Guide – Make Your Own Version! 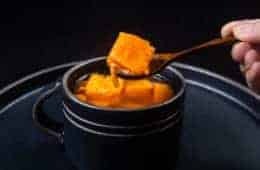 Below is a complete guide that breaks down the steps for making applesauce in pressure cooker and covers most frequently asked questions. 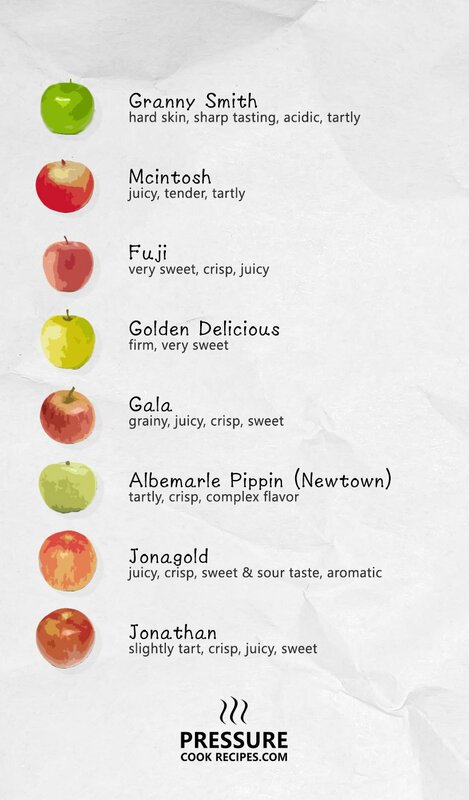 Apples vary widely in their texture and flavor. Any apple that is great for cooking/baking are perfect for making applesauce. Using mix apple varieties will bring another dimension to your applesauce. We were able to make smooth applesauce without peeling by using an Immersion Hand Blender. Try to use organic apples or wash them really well if you are not peeling. What Spices to Use for Applesauce? Try them all or leave them out, and see which combination you like the most! Be sure to add whole spices into pressure cooker with the apples to extract more flavor. What Sweetener to Use for Applesauce? The above sweeteners pair very well with apple. If you like a bolder flavor, maple syrup is a good choice too. Make sure to taste test and add the sweetener after blending to avoid sweetness overload. You can omit sweeteners if your apples are sweet enough. Is Lemon Juice Required for Applesauce? There is an on-going discussion in the Canning community about adding lemon juice or citric acid to help preserve applesauce. Many people found that applesauce preserves well with or without any added lemon juice. With that said, lemon juice and orange juice pair well with apple. So, if you like the flavors, add some! Should I Use Water or Apple Juice? You will only need a small amount of liquid (1/4 cup) to get the applesauce started in the pressure cooker. 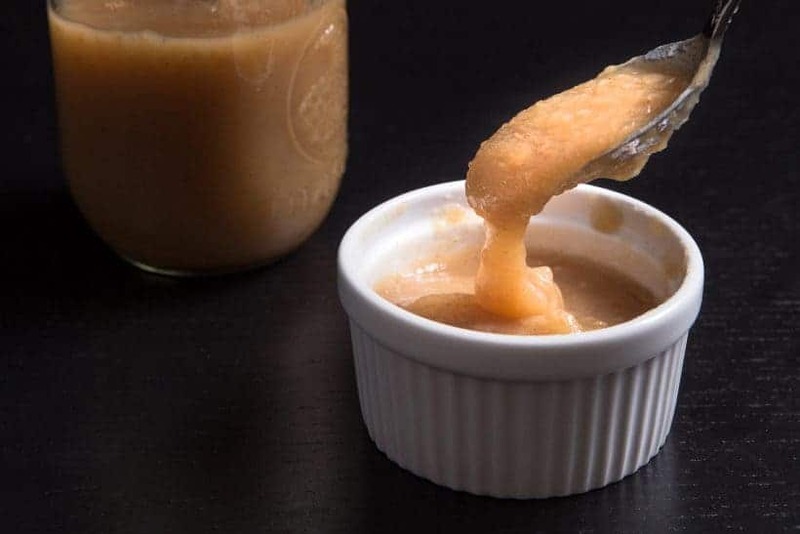 If you use a very sweet apple juice with Fuji apples, your applesauce may come out overly sweet. Generally, we find using water adequate for making applesauce. Adding a pinch of salt at the end of cooking enhances the flavors of the apples and spices. Give it a taste test before and after to see the difference! Quartered will be fine in the pressure cooker or Instant Pot. Natural Release or Quick Release? Applesauce can be foamy. Better to be safe than sorry! No one wants to clean up a hot mess. We recommend doing a Natural Release for making pressure cooker applesauce. Avoid filling the inner pot over 1/2 full. 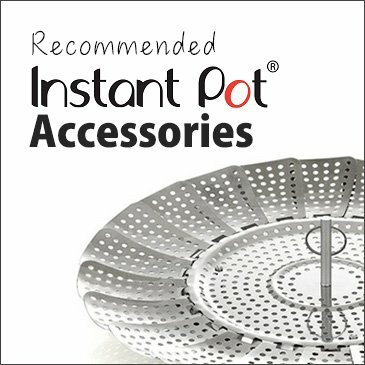 Please see Instant Pot User Manual (page 3). 8. When cooking foods that expand during cooking such as grains, beans, and dried vegetables, do not fill the unit over 1/2 full. Overfilling may cause a risk of clogging the pressure release valve and developing excess pressure. Pressure Cooker Applesauce Cooking Time? The Best Way to Blend? If you like a chunkier applesauce, use a potato masher instead. Do You Have a Pressure Cooker Applesauce Recipe? Yes! Here is our simple Instant Pot Applesauce Recipe. Hi Amy and Jacky. Thank you for being so thorough with all your instructions no matter which recipe I have tried. I made the applesauce today and it turned out delicious. I also used the hand blender as I did not peel the apples. One other thing I did do was pass it through a fine mesh strainer because my grandson finds any little speck of peel that is left. I do not add anything to the applesauce and everyone loves it. Thanks again. Thank you so much once again for being so kind and supportive. Had a bag of yellow delicious apples, a 3 yr old, and torrential rain. I peeled, and he cut them with a safety knife. We added cinnamon and nutmeg. 5 minutes high pressure, natural release while we built a train track, and we had a delicious snack. He can’t wait to take home some of the extra for his family. So easy! Please take care in these rainy weather. Since it’s a bumper crop of apple pears this year and my family has never enjoyed its blandness so my husband inadvertently picked a pail much too early so I combined these apple pears with apples and the results were super! And, thanks for being so thorough when you cover the varying topics i.e. applesauce tips … very much appreciated by this senior who loves to cook … don’t we all enjoy great food without taxing our leisure time? When I make stovetop applesauce, I often add other fruits for variety — a cup or two of berries — have used strawberries, raspberries, blueberries, cranberries… all are delicious additions! I would imagine you could do the same here, though maybe not the raspberries with their seeds… I use a food mill for the stovetop applesauce so don’t have to worry about seeds. 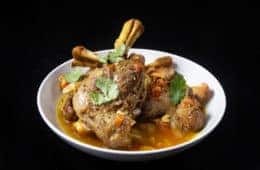 Yes, you can do the same in the pressure cooker! Is there a ratio of water for each IP pot? Example 1/4 cup for applesauce. In it still 1/4cup in the Mini also? Ok, I cheated, added a tablespoon or two of butter…shhhh! Hehe, adding butter to everything is the secret to some Michelin stars restaurants! I made a batch last week and it was delicious! I made another batch this week and it didn’t turn out as well. The only difference is that last week’s apples were peeled and slightly overripe. Could fresher apples cause my applesauce to be more tart? I would think the apples last week were sweeter than the batch from this week. Adding more honey or other sweeteners would reduce the tartness in the applesauce. I can’t wait to try this! What is the refrigerated shelf life of fresh applesauce? Thank you! Got the applesauce, now, can I Can it in my Instant Pot pressure cooker. Water bath canner style? I am so sorry for the late reply. The comment somehow went into the spam folder. Yes you can, but I would recommend using a taller pot for mason jar. 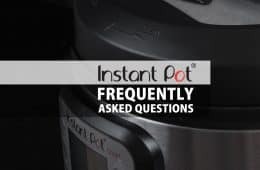 Instant Pot can be used for boiling-water canning. 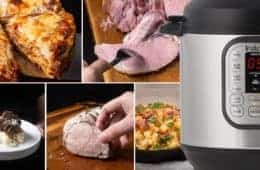 However, Instant Pot has not been tested for food safety in pressure canning by USDA. 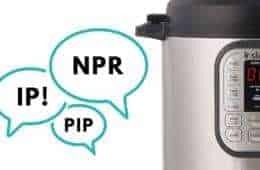 Due to the fact that programs in Instant Pot IP-CSG, IP-LUX and IP-DUO series are regulated by a pressure sensor instead of a thermometer, the elevation of your location may affect the actual cooking temperature. 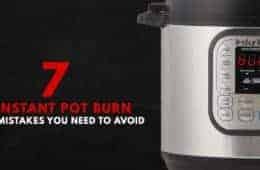 For now, we wouldn’t recommend using Instant Pot for pressure canning purpose.